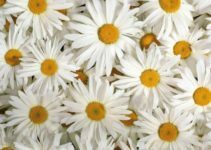 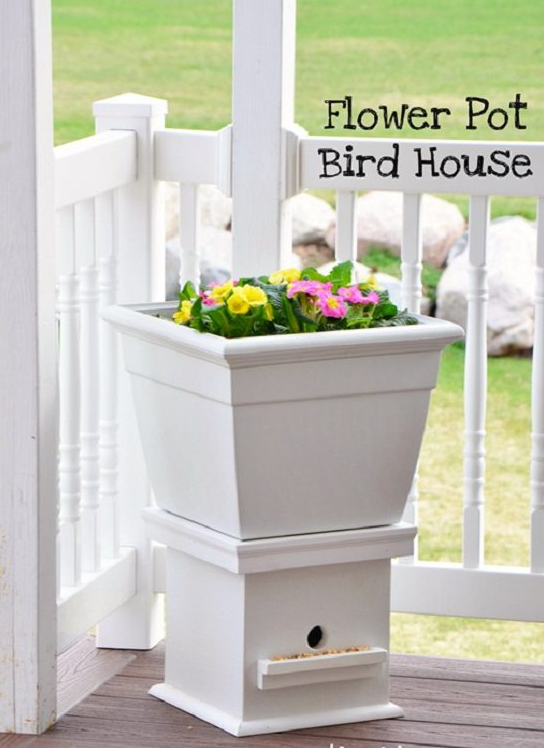 Decorative Birdhouse Ideas – Groove your garden this spring with some gorgeous birdhouses in them forming a lovely neighborhood for the cute birds. 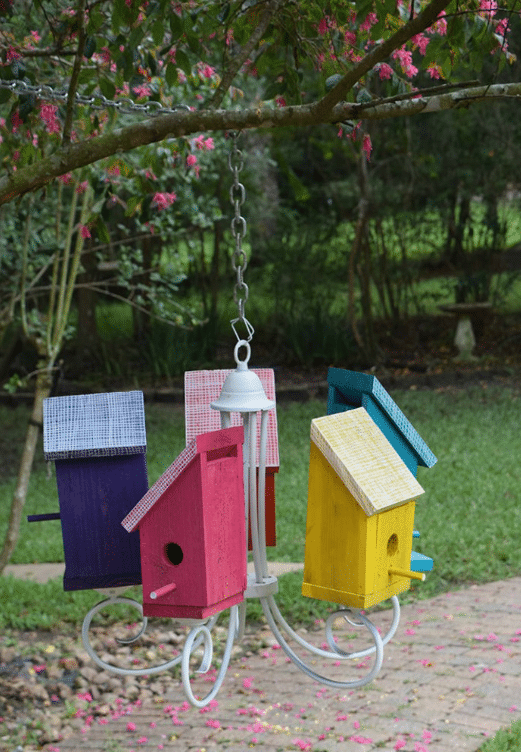 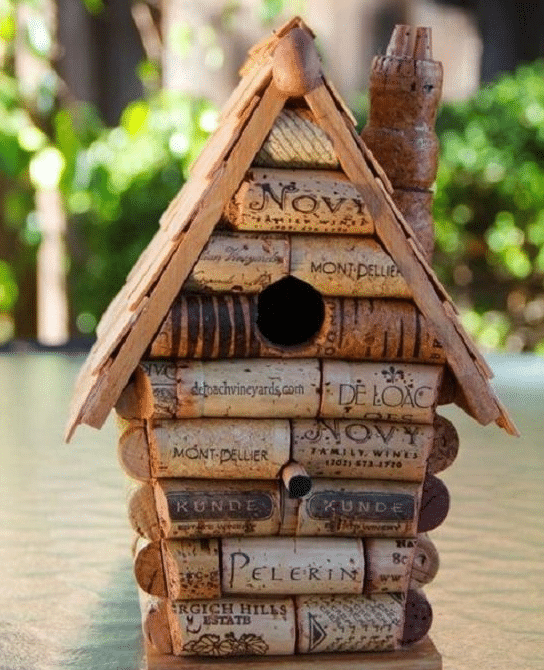 With these 10 DIY decorative birdhouse ideas you can attract many chirping birds in your garden to enjoy their every flying. 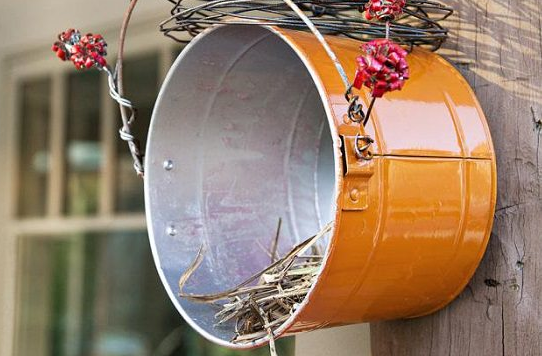 The icing on the cake is that all ideas are money saving and can worked upon with home supplies or useless lying things in the surroundings. 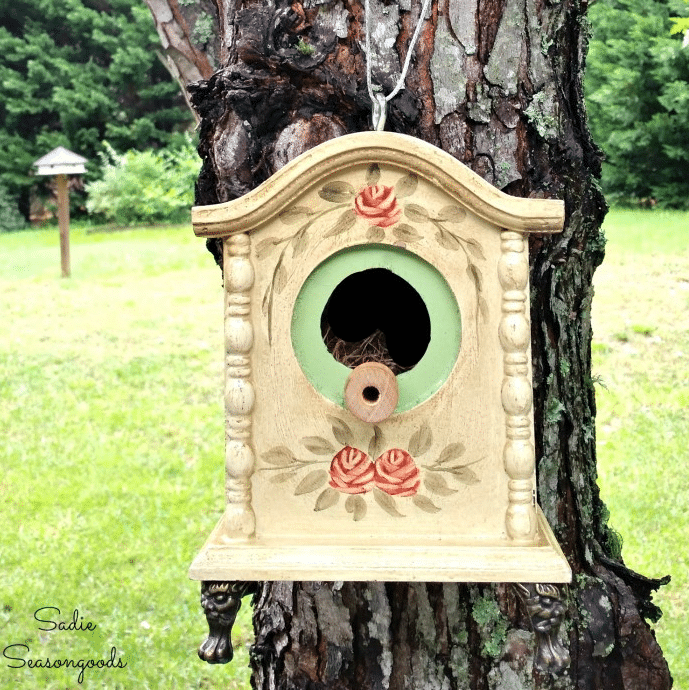 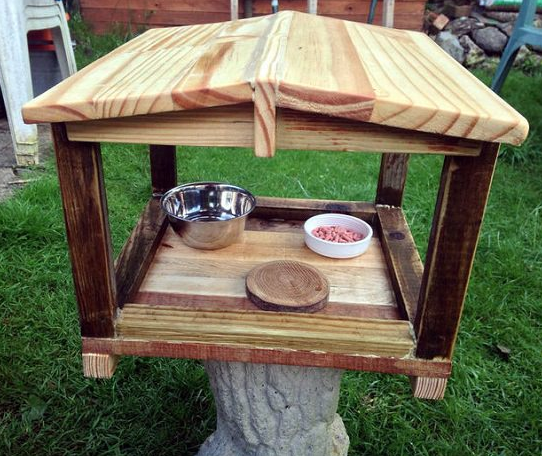 First, you can employ a wooden blog with a cinder top, or a piece of driftwood covered with pines, cones, and moss as a natural house for the small birds. 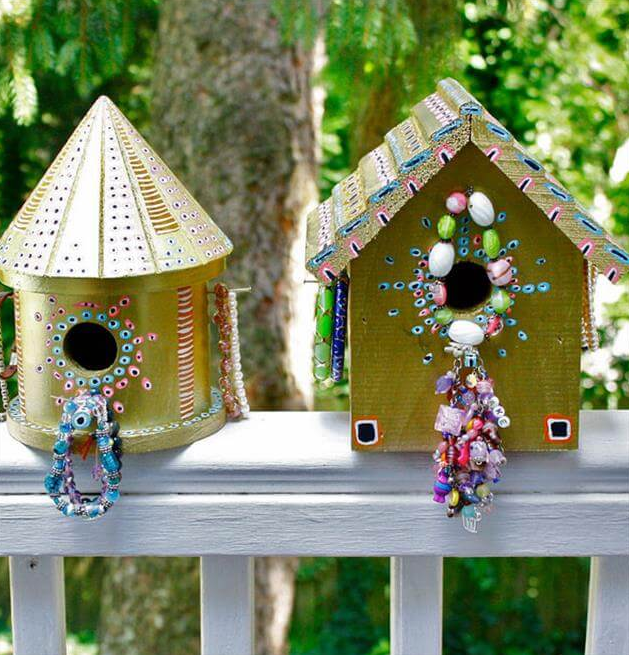 Small birdhouse with a covering of paint and beads would adore your yard or you can use it as a jewelry hanger in a unique way. 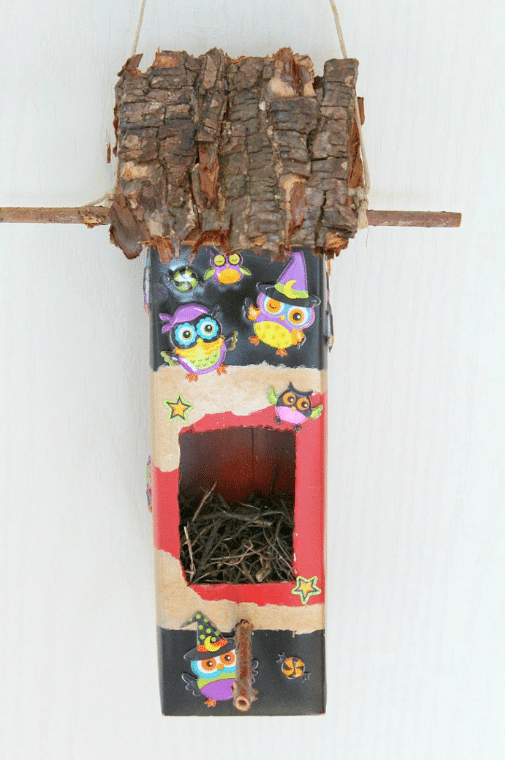 Long boots with a hole and a wooden shelter on them make the trendiest and cool DIY birdhouse ever. 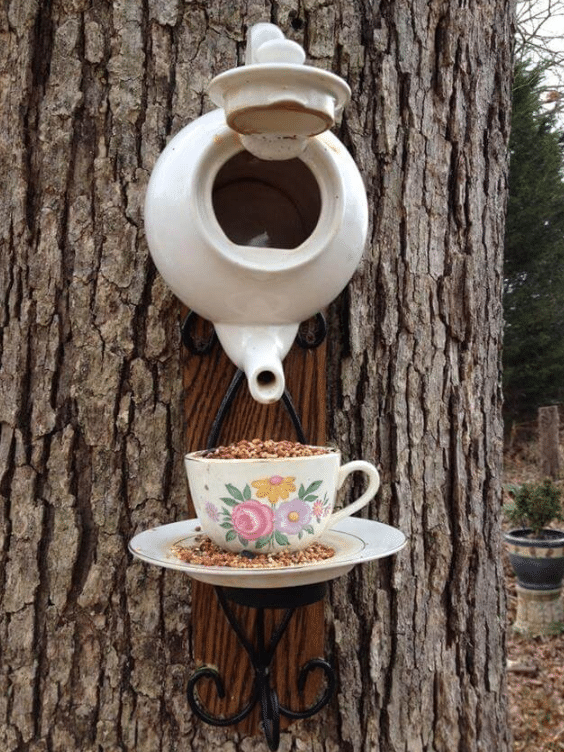 An old metal tea cattle or cracked pieces of teapots can be hung up on the tree branches serving as a comfy housing and feeders together. 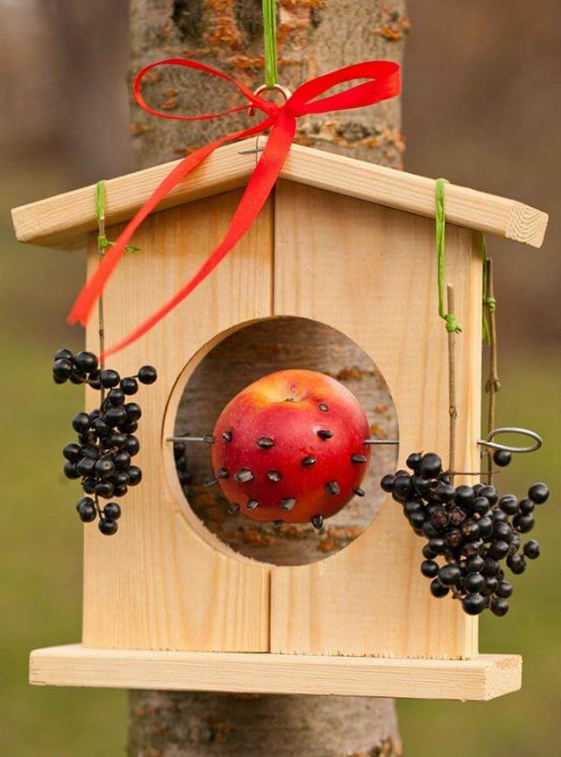 If you cherish simplicity than you can carve a simple birdhouse with hanging seeds and fruits to divert bird’s attention to feed on them. 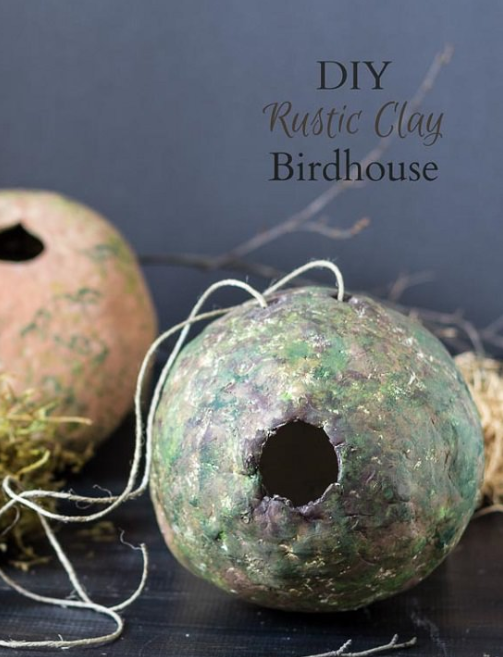 The birdhouses can be shaped gourd and painted with funny faces like those in the pictures, to enhance the garden decor.